No? Good, let’s make it one. I need a word that describes households that are firmly established in the middle class at present, but won’t have enough retirement savings to avoid a dramatic decline in their standard of living after they retire, possibly falling out of the middle class entirely. The more you earn, the more you have left over to save for retirement in a tax-deferred 401(k). And, of course, the more money you make, the bigger tax break you get from the tax deferral. So, the wealthier you are, the more the government helps you save for retirement. No surprises there. According to the chart above, households earning $20,000 save $396 a year on average for retirement, while a household with $90,000 of annual income saves $5,013 on average. Since the $20,000 household probably pays no federal income tax, there is no tax deferral to help with their saving. The higher-earning household gets to defer taxes on theirs. But studies also show that the vast majority of the middle class don’t have adequate retirement savings. Figure 1 ICI Research Perspective, VOL. 17, NO. 10, December 2011, p. 12. 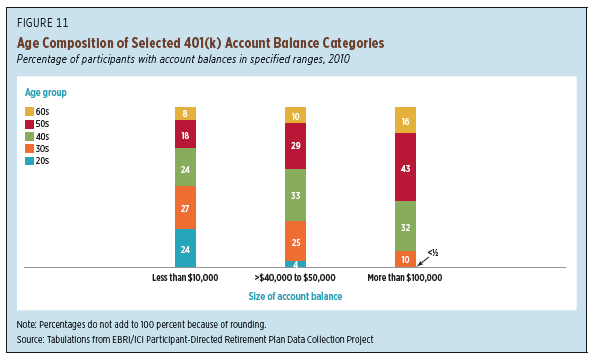 About 59% of the accounts with balances over $100,000 belong to workers in their 50’s and 60’s (Figure 2), so only about 10% of workers in this age group approaching retirement have balances over $100,000. Figure 2 ICI Research Perspective, VOL. 17, NO. 10, December 2011, p. 13. Is $100,000 enough? The following are some estimates provided by the aforementioned Aon Consulting study published in 2008. These estimates can vary widely depending on what assumptions we make about the household and what we can expect our future investments to earn, but they should give you an idea of what is required. For example, if you were earning $50,000 the year before retiring, Aon estimates that you would need about 5.1 times that amount ($255,000) saved for retirement. This amount of savings, combined with Social Security benefits, would be required to maintain your pre-retirement standard of living. 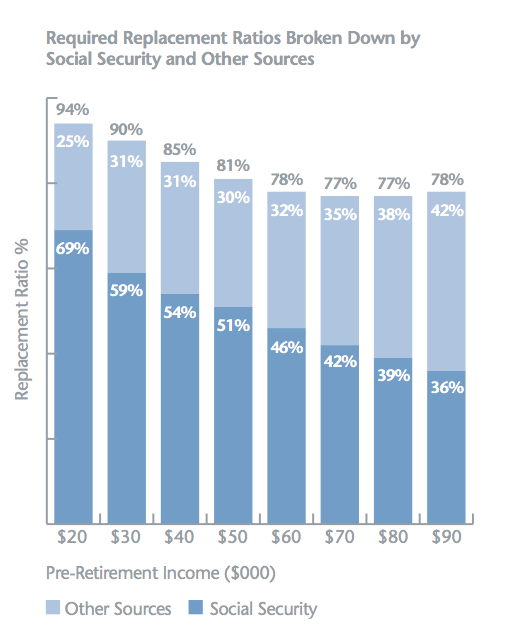 How much you need to retire on depends on your income before retirement. 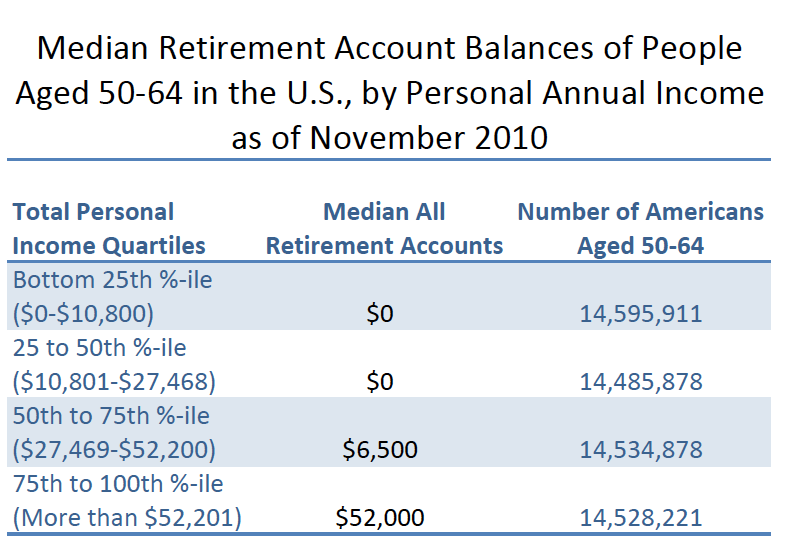 As you can see from the table above, $100,000 of retirement savings is adequate only for workers who earn about $20,000 a year just prior to retirement. 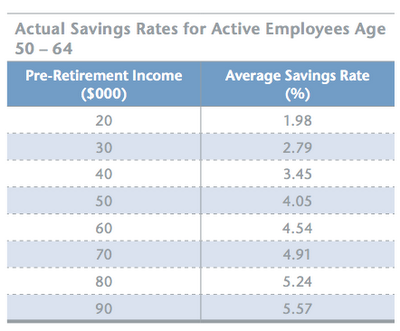 90% of workers in their fifties and sixties have less than $100,000 saved. If they earn $30,000 a year or more, they will experience a decline in their standard of living after they retire. Perhaps a dramatic decline. 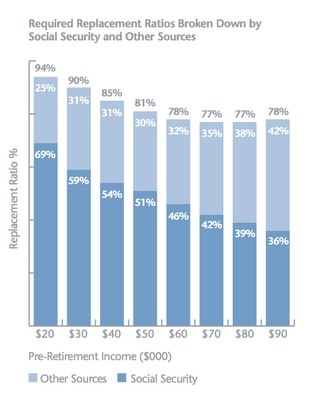 The households who expect to have significantly less than the lump sump savings requirements in the rightmost column of the table above for their pre-retirement income level are the ones I refer to as “unwealthy”, because most of them will struggle to maintain their standard of living after they retire. To be truly wealthy, you need a high standard of living today, but also the ability to maintain that standard of living after you retire. Even if you are earning $90,000 a year or more today, you are facing significant retirement financial struggles if you are approaching retirement with $200,000 saved. That isn’t wealthy. That’s living beyond your means and you will be forced to square the tab after you retire. 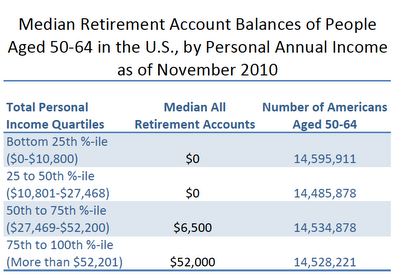 Our retirement system is in serious trouble. As the Schwartz Center for Economy of Policy Analysis states the problem, “Even the Highest Earners Don’t Have Enough.” As the table below shows, only those in the top quartile of income levels have significant retirement savings — significant, but not enough. 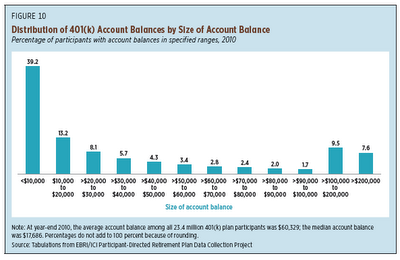 If you haven’t been able to save enough for retirement, at least you know that you are in the majority. There is plenty of margin in these numbers. They assume that you will retire at age 62, for example, and if you can work to age 70 and collect larger Social Security benefits, your retirement finance picture will be much better. On the other hand, if you retire at age 62 as many retirees do, you will need much greater retirement savings and your financial picture will be worse. That tells us that there are things you can do to improve your retirement finances no matter how much you have saved. Furthermore, people in their fifties still have more than a decade to improve their savings. So, we have a big problem: 90% or more of the largest generation in our country’s history, somewhere between 72 and 79 million strong, is beginning to retire without enough savings to maintain their standard of living. Many will drop out of the middle class. That’s about a quarter of the U.S. population of 315 million. It isn’t just the unwealthy households that have a problem. What will happen to consumption in the U.S. economy when 70 million retirees can’t afford to buy anything? What does that mean for the rest of Americans still in the workforce? 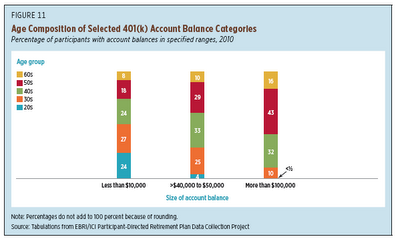 What does it mean to their 401(k)’s dependent upon stock market performance? Years ago, economists feared that when Boomers retired they would sell all the stock they owned in retirement accounts and drive down the market. The 2008 market crash and housing crash did that before Boomers could unload their stock. Now, the concern should be that millions of Americans will have little money to spend in retirement and demand won’t be adequate to sustain market growth. The United States constitutes 5% of the world’s population but incarcerates a quarter of its prisoners. Opponents of excessive incarceration in the U.S. argue that if 2.3 million Americans need to be imprisoned, we must be the most evil country on the face of the earth. I would similarly argue that if more than 90% of American households are unable to save enough for a comfortable retirement, then either we are the largest country of overspending, self-indulging sloths in the world or our retirement system is broken. Some wag their fingers at Baby Boomers and say they lived beyond their means and didn’t save enough. Did 90% or more of Baby Boomers really live beyond their means? It seems clear from the results of the first thirty years of this saving and investing regime that, as Teresa Ghilarducci argues in a New York Times opinion piece entitled, “Our Ridiculous Approach to Retirement”, the American retirement system simply doesn’t work. 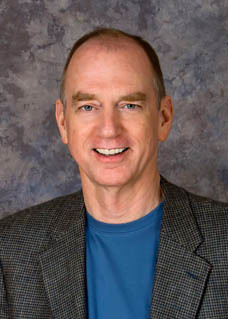 Stick with my blog and I'll explain the challenges and provide suggestions for how your household might deal with it.